Confession: I don’t have a bracket or really understand why I should. I do not particularly enjoy watching any sports, except for gymnastics and the occasional soccer game. I blame my lack of enthusiasm for watching sports on my high school years; I went to a performing arts high school and sports weren’t really a thing. The few sport teams we did have were pretty awful at competitions so I just never got into it. 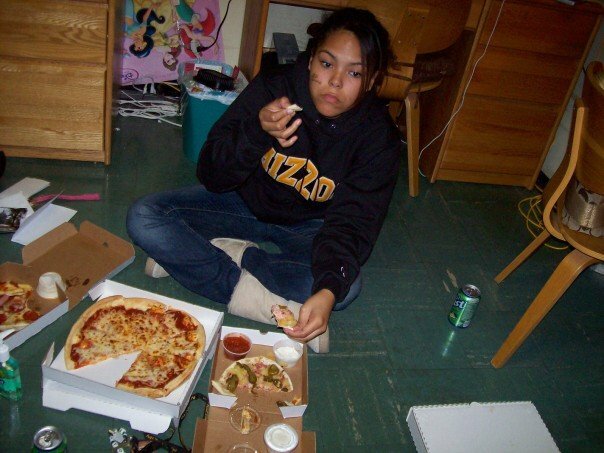 I learned the definition of school spirit during my undergrad at Mizzou during football season. I got season tickets to the games every year I was an undergrad but I only really cared about the tailgates and after parties and usually didn’t have a clue what was going on during. I was one of those fans that would react based on how the crowd reacted and would usually get bored/too cold/too hot by the 3rd quarter and leave. Sports and I aren’t really friends. However, I love what sporting events do; they bring people together to eat, talk, and drink which are three things I love. I do not really understand March Madness but love the excitement from everyone that does. Plus any reason to make food to bring to a social gathering makes me a happy camper. 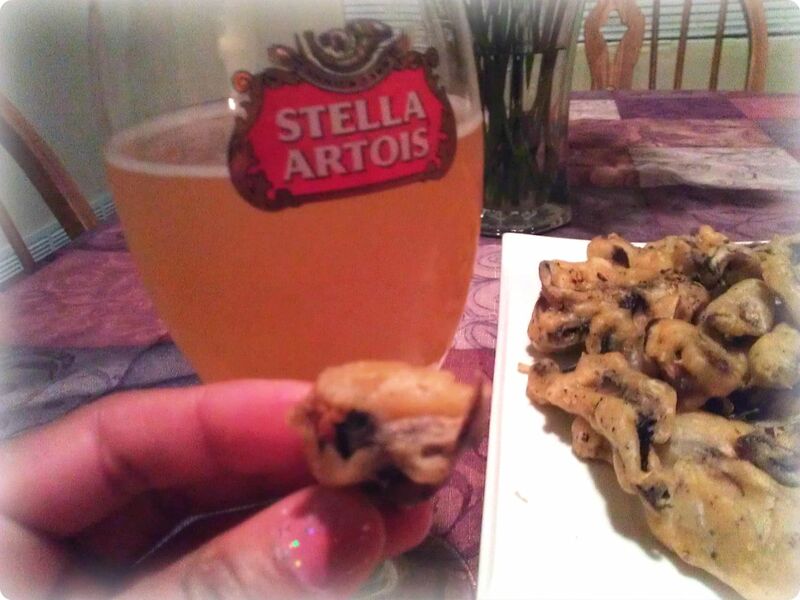 Lately my favorite thing to make is beer battered mushrooms. They are flavorful, crunchy and prefect for people to nibble on in between yelling at the refs for bad calls. They are also great for those who do not eat meat and go to sporting events with friends who do. The food lineup at a sports gathering usually looks something like this: wings, burgers, hotdogs, chips, pork and beans and cookies. Although fun choices, they are not inclusive to vegetarian and vegan friends. 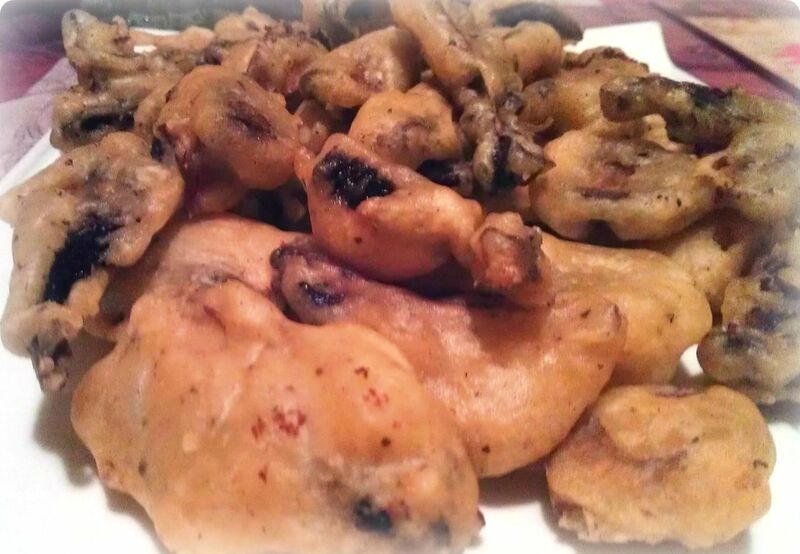 These beer battered mushrooms are easy to make and everyone can enjoy them. Paired perfectly with a beer; you can’t go wrong with these! I would ask who is on your bracket but I would much rather hear what you ate for dinner last night, who your favorite Spice Girl is or your opinion of Dr. Who. So with that said, Happy March Madness season and I hope your team goes all the way! P.S. These are great as leftovers for lunch in a warm tortilla wrap! Heat oil in a cast iron skillet on medium heat. In a large bowl add the flour and whisk the beer in slowly. Mix in the paprika, cayenne pepper and taste. 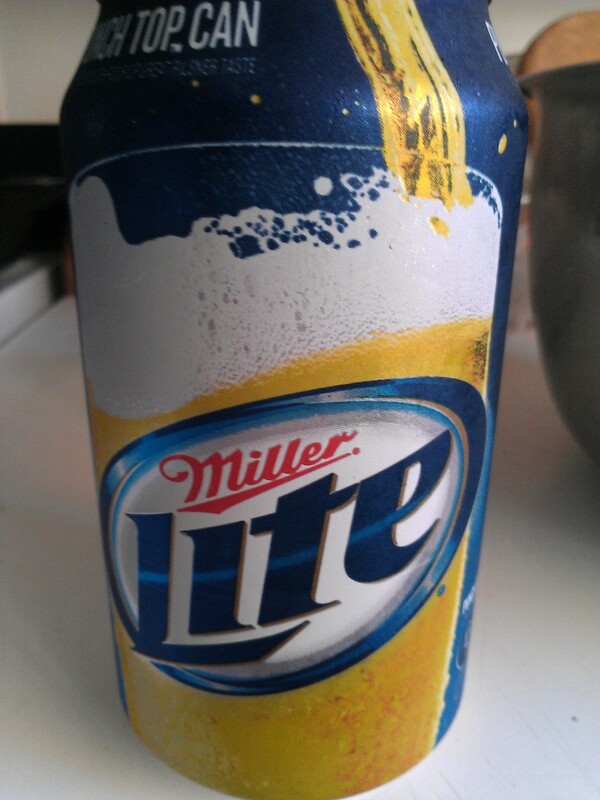 Depending on the beer you use, the batter may not need any additional salt but if it is a little bland, add in some seasoned salt, mix, taste and continue adding until you think the batter is delicious. Do not over do it on the seasoned salt, trust me! 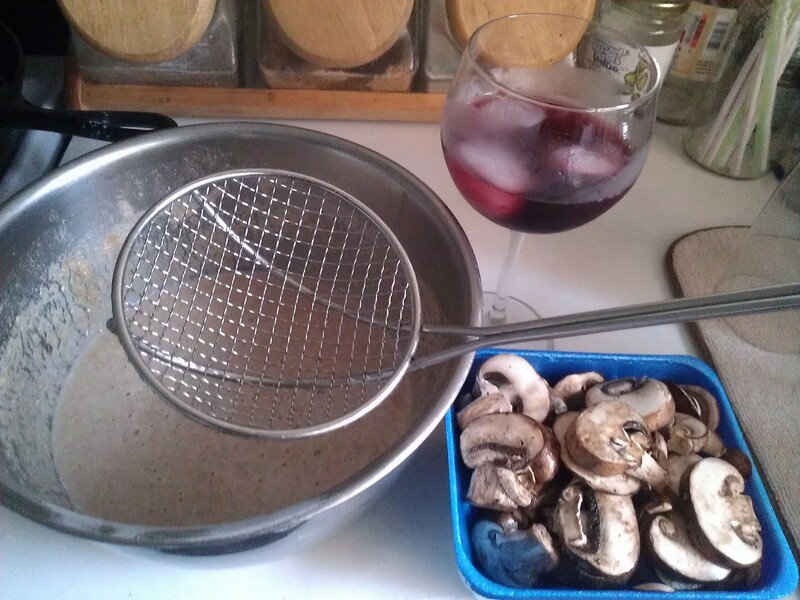 Once batter is complete, add a few mushrooms at a time, coating generously. 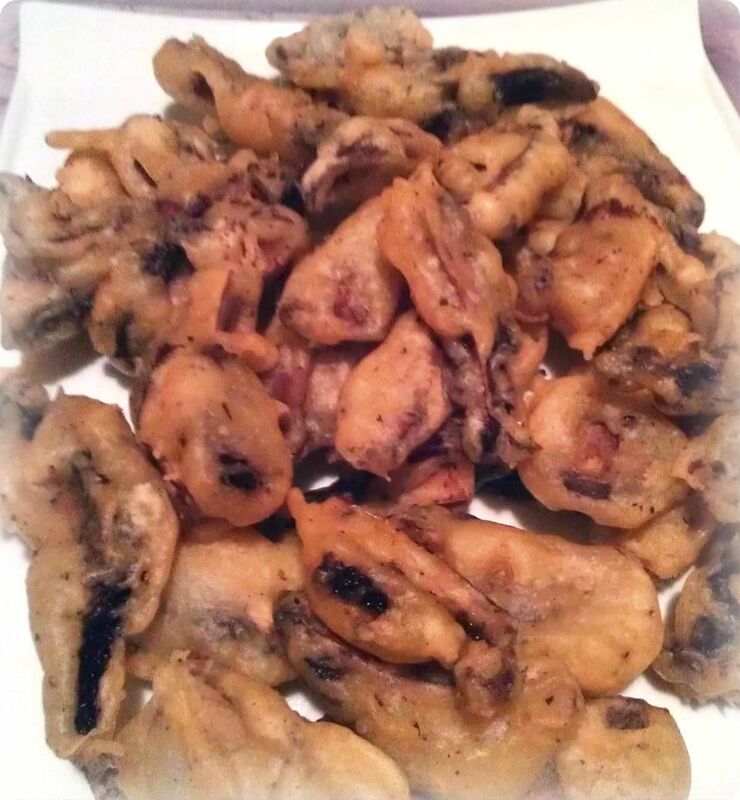 Once the oil is heated, carefully place the mushrooms in the hot oil to fry. Cook mushrooms for about 7 minutes or until golden brown and crispy. Remove from heat and place on a brown paper bag or paper towels to get rid of excess oils. Repeat process until all mushrooms are cooked. Serve while warm with your favorite dipping sauces! *Note: this recipe is perfect for two people as an entree but will need to be doubled or even tripled for a social gathering. Next postStop planning and start living! These sound yummy!! I have people over for hockey games all the time (and i’m a vegetarian), this is SO something I would make. Thanks for the idea!! !